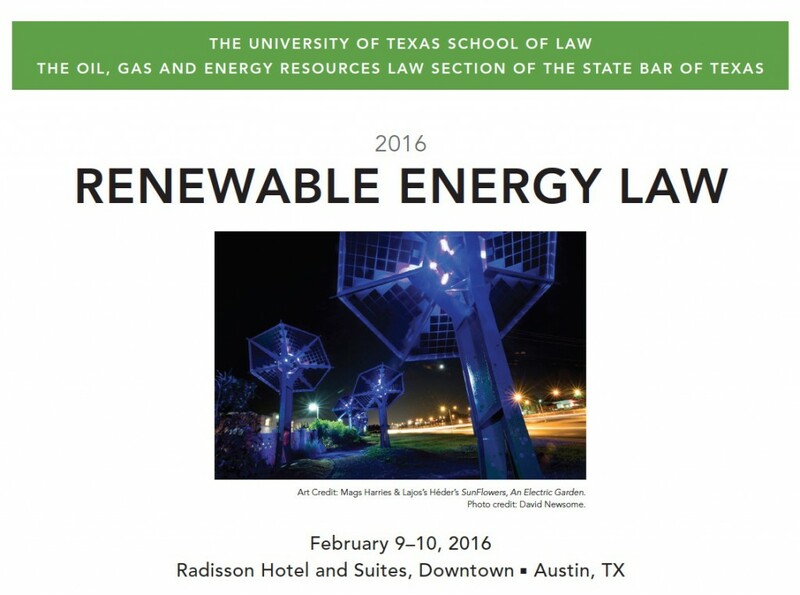 Mags Harries & Lajos Héder’s SunFlowers, An Electric Garden was selected as the imagery for the 2016 Renewable Energy Law conference presented by The University of Texas School of Law. The photo by David Newsome shows some of the 15 SunFlowers illuminated at night along I35 in Austin. 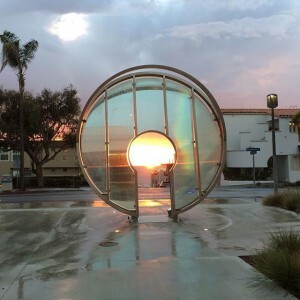 SunFlowers, An Electric Garden generates energy for its own lighting, and the additional energy its solar collectors produce is fed into the electric grid.